EVERSLAB coin holders perfectly integrate into your current collection system for regular certified coin holders (slabs). 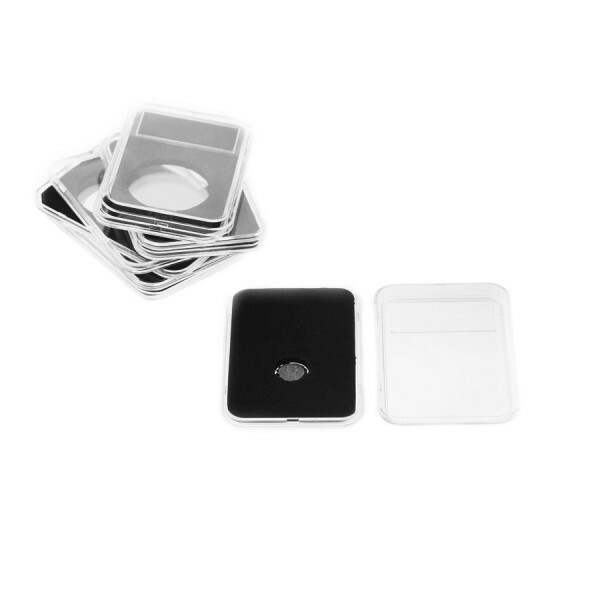 Rectangular coin capsules with precise fit black inserts and semi-permanent closure*.. Capsules are made from clear and scratch resistant plastic. Capsules and inserts are chemically inert and free from PVC, acids, or chemical softeners. Capsules have a labeling field and come with a blank labeling card to display information about the coin. Slab Coin Holders are meant to provide a secure and durable closure. However, they are not intended to be as permanent as a PCGS or NGC holder and cannot be sonically sealed. If necessary, EVERSLAB holders may be opened with a knife or other sharp object.